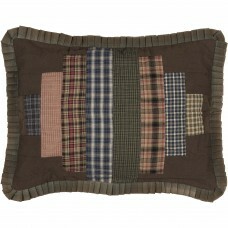 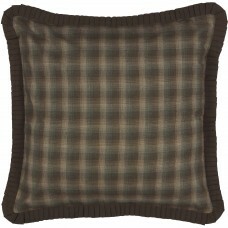 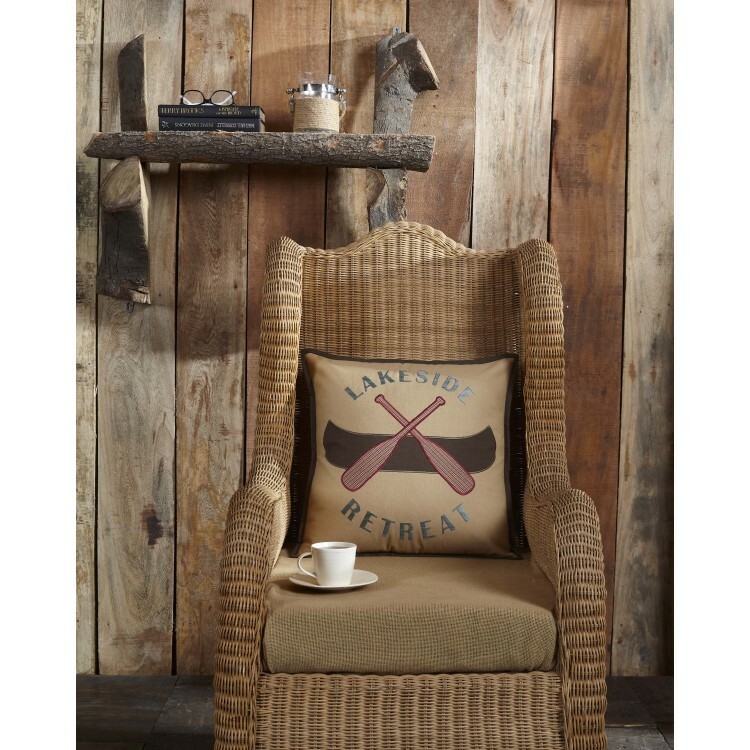 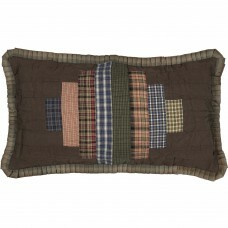 The Seneca Canoe Fabric Pillow mimics a coat of arms with two red plaid oars crossed over a deep brown canoe. 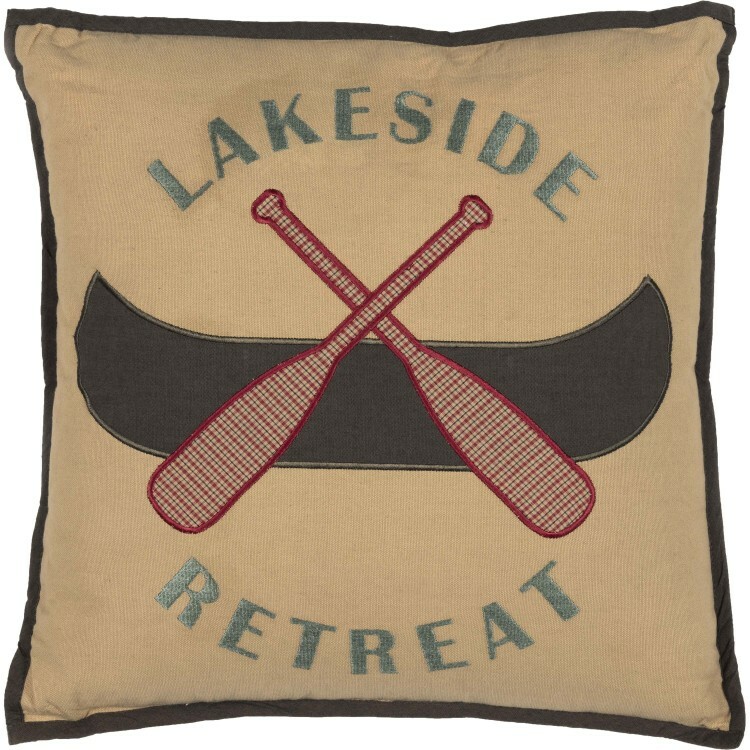 "LAKESIDE RETREAT" is embroidered in green. 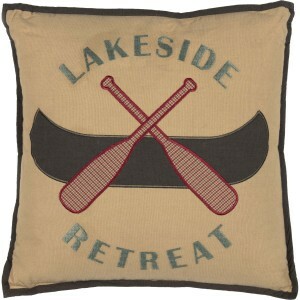 Embroidery on the words, paddles, and canoe has a rustic shimmer in the light. 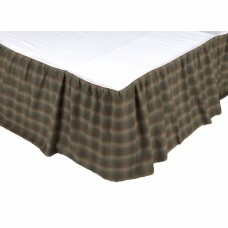 Base fabric on front and back is tan. 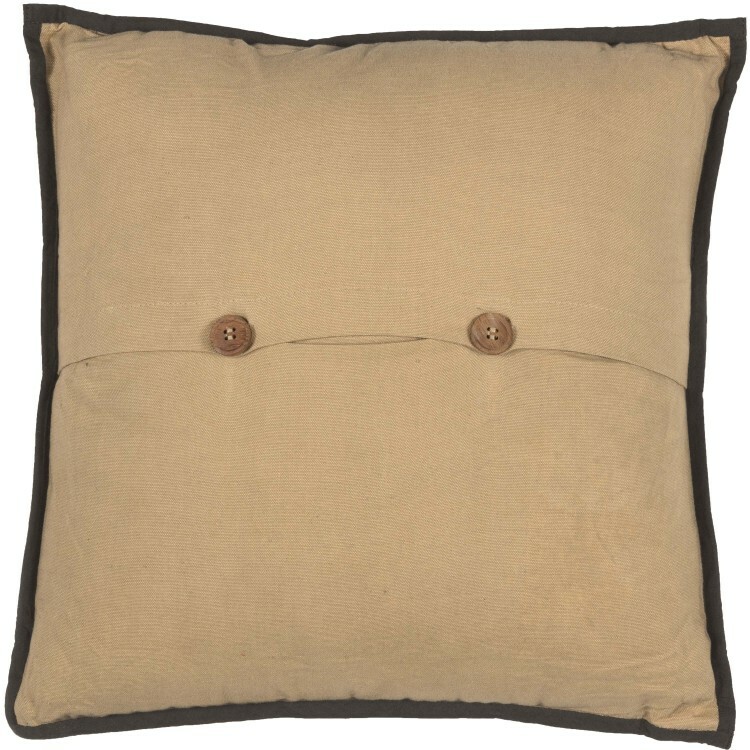 Pillow measures 18" x 18".